We dont know what good old Louis Jordan would've thought of a House-gambler like Rampa, translating his 'Let the good times roll. '-credo into the clubagenda. 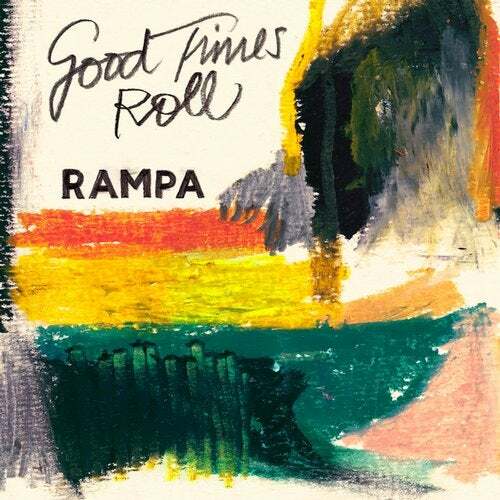 Quite possibly he mightve forked out some sax samples for Rampas next cuts, after revising this upcoming KM026, the 'Good times / Roll' EP. 'Good Times feat. Aquarius Heaven' on A evokes its feelgood vibe on a crinkling collection of percussion elements and therefore redeems all the trademark-claims one could address towards the rhythm-fond originator. Not to forget this synth-hook, thats adjusting the potential of this track right into the middle of the floor and at some point stretches out into a trippy organ-jam. All last restrain then should be swept away when Aquarius starts his nasal croon. 'Theres a moment in the night, when everything is right.' And you mightve guessed it, hes talking about the moment, this tune is spinning. 'Roll' on the flip embraces us with sassy snare-snaps, a full bodied kick and secretly whispering hihats. This beat, containing a rather subtle realization of Rampas percussive fetish, builds up alongside comfortably warm synths and a bassline raising the temperature another notch. A warm-up-weapon full of dynamics that finally drifts towards a chord meditation dropping any burden left. You could call it a complementation of the Good Times and no doubt, the combo of this two-track-ensemble will get the best out both, the peaking and the tension building moments of the night.